There is a widespread misconception that leaving an air conditioning system running on a low setting all day and night when the space is unoccupied is more energy efficient that letting the space warm up and then operating the unit on a high setting to cool it down as required. The perception is that the energy required to cool down a warm room once is more than that required to maintain the cool temperature all day; however, the physics behind heat transfer principles tells us otherwise. Heat transfers across a surface due to a temperature differential. If the temperature on one side of a surface is lowered, heat will move towards it, causing the temperature to rise again. During the day, when the climate is warm, external heat will tend to warm up the interior spaces of a building and it can be assumed that the internal temperature will stop rising when it equals the external temperature. At this point, heat transfer no longer occurs and the temperature will not increase further. When the room is occupied again, the air conditioning unit only has to cool the room once to reach the desired temperature. 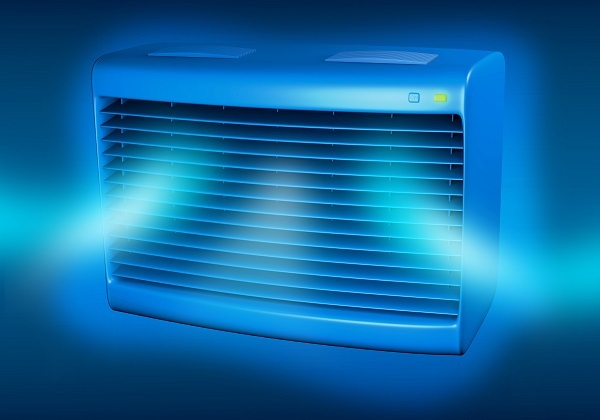 If the air conditioning unit is left running throughout the day, the unit is constantly battling the heat transferring into the room rather than just cooling it down when necessary. It has been argued that this philosophy is incorrect, as the air conditioning unit in the first scenario is running at a higher setting, whereas leaving it on all day means that it runs at a lower speed and therefore uses less energy; in fact, air conditioning units operate at peak efficiency when they are running at high speed. When operating at high speed, a greater volume of air is passed over the coils of the unit, cooling the refrigerant and consequently reducing pressure. This reduces the work that the compressor must do, thereby using less energy. At lower speeds, less air is drawn over the coils and the refrigerant runs at a higher temperature, causing the compressor to use more energy. Using more energy not only increases your energy costs but also impacts on the environment, as power stations create pollution when providing our electricity. 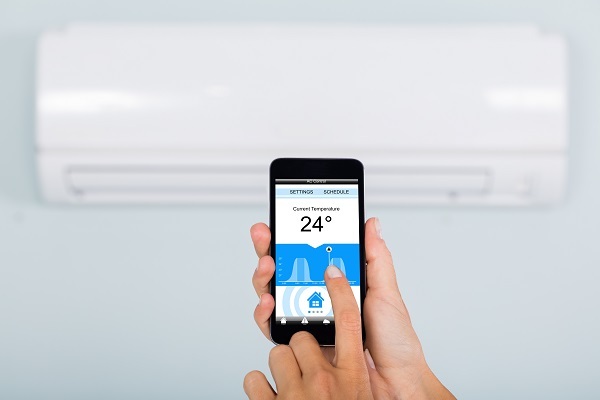 Increasing the thermostat setting in your home by one degree results in your air conditioning unit using up to five per cent less energy. – Installing a programmable thermostat. This offers greater control and reliability around switching the air conditioner off when not required. Timers can be set to ensure the unit is not running when the room is unoccupied or overnight, when it is cooler anyway, regardless of the thermostat setting. – Using fans alongside an air conditioning unit will make the room feel more comfortable, even with the thermostat set slightly higher. Fans use significantly less energy that air conditioning units, as you are running a fan rather than a compressor, and circulate the cooled air around the room. Moving air also creates a cooling effect on the skin, making us feel more comfortable.